As music lovers, it feels great to say that one of India’s most popular bands, fondly known as the ‘fabulous four’ SANAM, have recently surpassed the 3 million subscriber mark at YouTube! As life progresses in a digital era, we are often used to talking about song views reaching the millions, but we rarely hear artists from India crossing such milestones, in the subscriber count. 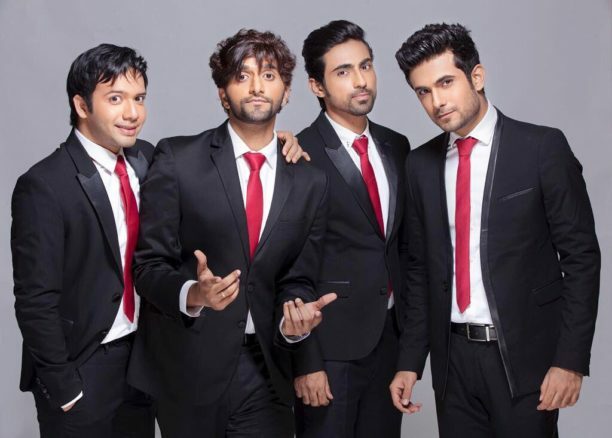 We previously interviewed SANAM back in October this year, and to refresh your memories, the band are well known for their melodious renditions, of classic Bollywood retro hits and new songs. They also release their own material, and the song Itni Door is one of their latest compositions. SANAM is a combination of musical talent from brothers Sanam and Samar Puri, Keshav Dhanraj and Venky S.
The band have been touring across India (recent gigs include a performance in Bangalore) and they will be performing in Delhi on 23rd December, and Ahmedabad on 24th December. 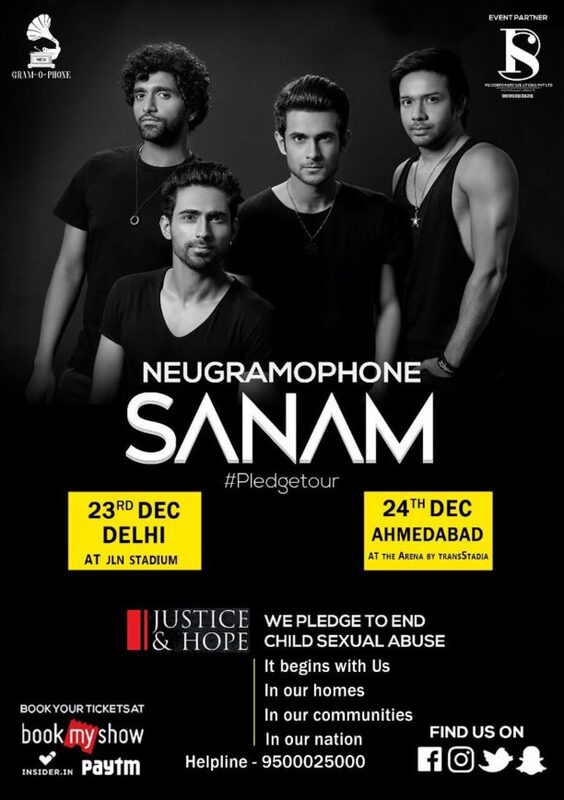 These concerts are part of the #PledgeTour which is in association with the Justice and Hope foundation. Check out the poster below, for further concert information, and don’t forget to join the SANAM family and check out their channel to hear all their fabulous music and be sure to subscribe: https://m.youtube.com/channel/UCnrG75VRwdlp2wtwfpOCBRQ! 15 queries in 0.507 seconds.